Malta is a sort of birding hell. It’s really hard trying to rationalise what happens here because it’s simply so alien from what we experience in the UK . When I went into Joe’s house I was feeling very tired and confused. I was focused . . . but a bit down. When I left I was a different person. He is a truly remarkable man, clearly a superb naturalist but also one of the greatest conservationists I’ve ever met. A small, brilliant eyed man, he lives in a lovely house cluttered with the flotsam of a lifelong interest in all things wild and a fabulous view over a large valley where Bee-eaters were flying and Hoopoes and Golden Orioles perching in the scrub as we chatted. 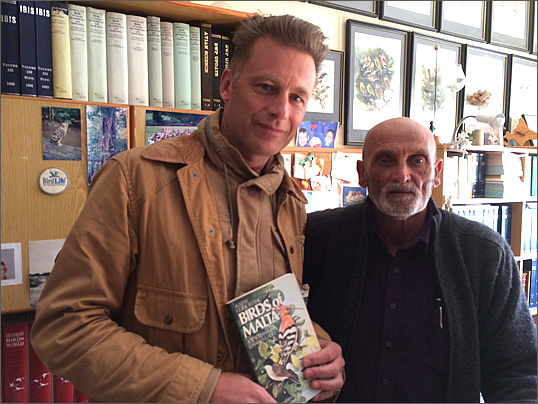 He joined Birdlife Malta, the Maltese Ornithological Society as it then was, in 1962. 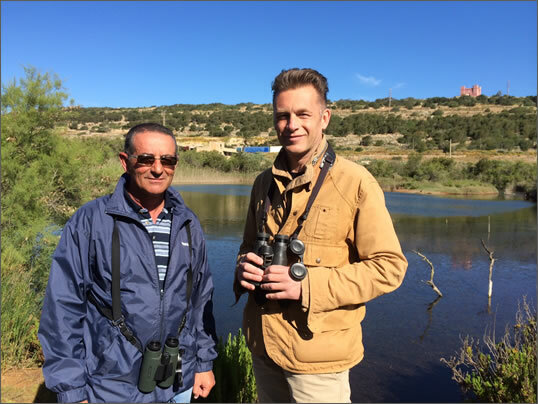 Since then he has worked tirelessly to create a better place for Malta’s birds. This hasn’t been difficult – it’s been almost unbelievably impossible. How he has maintained his determination in the face of terrible adversity filled me with a deep and lasting admiration. He has been threatened, once had the police stationed outside his house to protect his family, but maybe worst of all he has to look out over that view, at those Bee-Eaters, at those Golden Orioles and watch them get blown out of the sky. How, when you love birds so much, must it be to have to witness and deal with that? But Joe has never given up, he will never give up. He will win and as he shuffled a lifetime’s collection of newspaper clippings about his campaigning I felt not only privileged to have met him but completely re-energised with my own determination to make a difference. And that I suppose is the effect a truly inspirational person can have. What a man. Ray Vella has been shot in the face twice. Probably deliberately. And I only say that in the ‘allegedly’ sense. The first time he nearly lost an eye, the second an ear – he was shot as he left his car in the dark. Then his farm was burned to the ground. He lost everything. Then they cut down 300 trees on the forest reserve he was managing one night in spite because the spring hunting was forbidden for two seasons in the late naughties. So he planted more trees . . . and two hunters came and cut them down too. They were caught and prosecuted, fined, but of course replacing a grown tree is a slow process to heal. Now he’s on one of Malta’s two nature reserves. Getting in isn’t easy, it’s highly fortified because hunters have climbed in and shot at the birds and when the fences went up they poured oil into the lagoons to pollute this tiny little refuge. But what about Ray? Well, he’s smiling when he tells me these stories, laughing at times, not only is he seemingly indestructible he’s obviously indefatigable too. Just like Joe, he scoffs at his tormentors, at his struggle and radiates a wonderful confidence that he will succeed in his quest. Just like Joe he is a remarkable conservationist and as we walk back his fabulous knowledge of natural history is revealed too. I felt, as I left him to do some more ringing, that for the second time in twenty-four hours I had shaken the hand of a giant in the world of conservation. I’ll tell you something . . . they are making statues of the wrong people. 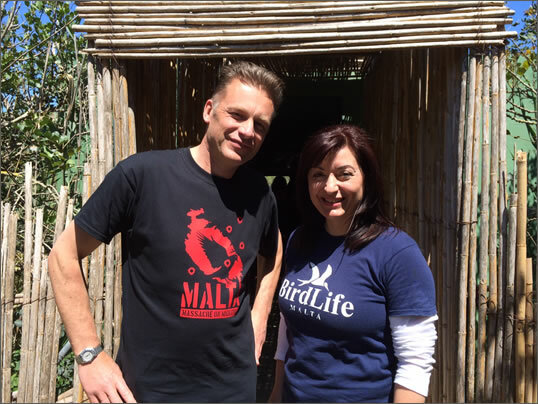 Francesca admits she is not a full blown birder but she has a deep desire to protect wildlife and is concerned by many aspects of animal welfare. One day she was on the beach with her partner. He was swimming and she, along with some visiting friends, was watching a small flock of Little Egrets that had been regularly returning to a freshwater stream to bathe. They flew in over the sea and came to rest on the rocks. But a hunter had taken up a position very close to them in some thick reeds. He rose up and started firing, shooting initially at the birds on the shore and then at those that were fleeing out to sea.He killed several, took off his trousers and waded out to retrieve their bodies. Francesca and her party immediately began shouting but then, without thinking about her own safety she began to run towards him across the boulders. This wasn’t easy and by the time she arrived he had made an escape. At least one of the Egrets survived. The police were summoned but after a long and difficult search neither he nor the dead birds were found. This part of the coast is covered with large boulders and caves, there were simply to many places to hide. This event really upset Francesca, it changed her life, and she has been campaigning ever since to stop illegal and spring hunting. If there is a referendum to vote on such an issue she will be in the queue. Like many other Maltese people we’ve met she has simply had enough. But speaking out here really takes some bravery, the hunters threaten reprisals and make life very difficult for those who do so. 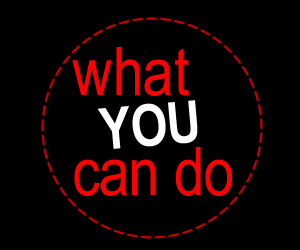 Even speaking to us will have been risky, but Francesca wanted to do so, she wants to do her bit to make a difference and that is very admirable indeed because it’s not something we have to contend with in the UK. A courageous and determined woman – I salute her. I met Kathleen on a sunny Saturday morning surrounded by loads of excited kids. They had just finished an Easter egg hunt and were now pouring into one of Malta’s two nature reserves and furiously pursuing a trail of birds portrayed on cards scattered along the trails. Each had some fun facts and some good educational value too. They were all trying to collect the set first, dodging a cuddly human sized Barn Swallow and then loving being in the hides looking out at real live birds. 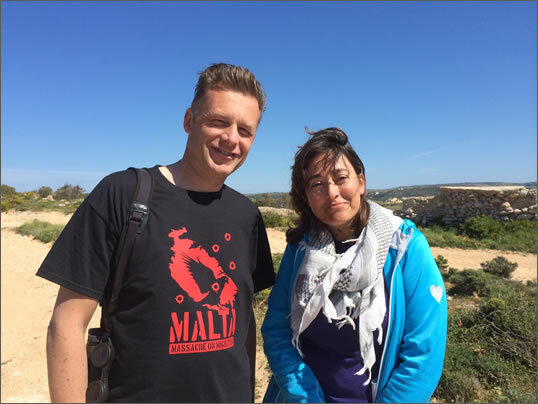 It was for Kathleen a great success, she is at the forefront of Birdlife Malta’s education programme. Today was special but she works hard on the youth magazine that Birdlife publish and makes many visits to schools. Her objective is obvious and simple – to effect change through investing in our youth. And it’s paying off as a child she tells me that it was common for young people to trap Robins. The birds were kept as ‘pets’ in tiny cages . . . but now this habit has gone, the Robins are safe from children – but sadly not everyone. But there’s lots of other progress too, young people here are far better informed environmentally and the vast majority are unhappy or outright against trapping and hunting. Kathleen is one of those people you meet who you instantly know is focused and determined, someone who totally believes in what she does. Her passion spills out in spades and let’s face it this is a difficult place to engage people, even kids, especially those whose families are hunters. She is trying to modernise and reform things which some consider ‘traditions’ and changing hearts and minds is very difficult and there is no room for failure . . . the birds are in trouble, they can’t wait much longer. Kathleen knows this and as we enter a hide that’s literally boiling with enthusiasm as the kids watch a Moorhen and a Mallard I couldn’t help but feel a pang of hope for the future. Moira was the perfect host when we met her. She invited us into her television studio just before she was to begin the broadcast of her weekly live programme. It’s an hour long and she researches, writes, films and then presents the hourly show, with some help from her sister. Clearly it’s more than a job, it’s a passion, and it’s one she is very keen to tell us about. Moira loves animals and she detests any abuse or mistreatment of them. 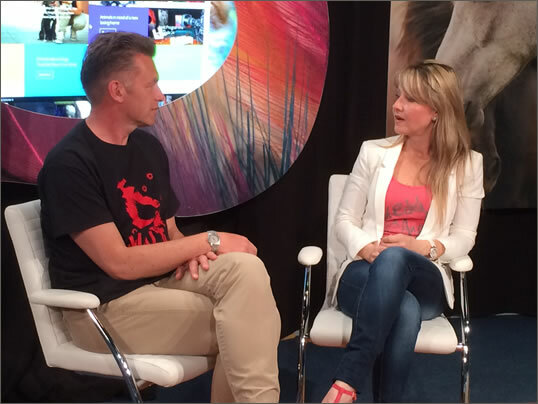 She has and continues to lead a very public campaign to rid Malta of circuses which feature animals. As in the UK this wretched spectre still hangs over the island, but not for long if Moira has anything to do with it. It’s not surprising that she is also sick of the senseless slaughter that spring and illegal hunting brings and she has bravely used her profile to speak out against it. I say bravely simply because, despite the vast majority of Maltese people opposing it, very few will stand up and be counted. It’s because of a fear of reprisals and Moira has already felt the nasty side of challenging the hunters. After a recent item on her show which led to some lively debate, she’s all for democracy and encouraged and allowed hunters to voice their opinions live on air, she then came under pressure on several insidious accounts. She wishes that more public figures would join her in opposition but is equally adamant that she will not be silenced. She considers it a duty to her conscience to stand up for what she believes in and for this alone I really respect her, but what is also clear is that her considered compassion is honest and deeply felt, something that was obviously apparent during our chat. I was struggling with the conversation a little though. 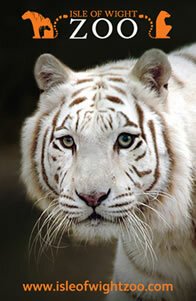 Because beyond her shoulder as we spoke was a large photograph of my partners favourite Tiger, Zena. I mean of all the Tiger photos in the world . . . and there must be hundreds of thousands . . . how weird that they had chosen this one to decorate their studio. I didn’t say anything, it was too freaky! The rugged coast of Il Majjistral Nature and History Park stretches away edging a deep blue sea and the sun shines which is nice – it’s been unseasonably cold here, rainy, windy, not very ‘spring in the Mediterranean’. We walk across the garrigue, a harsh rocky heathland, admiring the juicy pink blooms of Pyramidal Orchids and a host of other plants that would excite any botanist. A Swallowtail butterfly buzzes past, we stop to look at another endemic orchid, a species which only grows in Malta, it’s finished flowering but a lovely pink Stonecrop specks colour onto ground which is preparing to be parched. And then something strikes me . . . there are no birds. No gulls, no crows, Magpies, Jackdaws, Kestrels, this beautiful landscape has nothing flying over it. Annalise drops the bombshell . . . there are just ten breeding species and some of those have less than ten pairs in this park. Because this park is hunted. Every day. Until ten o’clock. Annalise is a top rate naturalist, she knows all her plants, insects, birds, you point at it and she can tell you what it is and all about it. That’s why she leads guided walks here and I’d love to go on one, I know I’d learn a lot. The trouble is she can’t lead those walks until after ten because obviously her nature loving clients don’t want to wander amongst all the guns and watch a slaughter of the things that inspire and fascinate them. In spring this is a real shame, it’s the best time of the day, and in autumn this would be a superb migration hotspot. I’m still getting over the revelation that shooting is allowed in a nature park, a Special Area of Conservation(SAC) and Natura 2000 site. This simply doesn’t add up for me but Annalise says that there was a campaign when the park was formed in 2007 to stop the hunting but it failed, the only concession being that the hunters put their guns away by ten and not twelve as it is elsewhere. It’s two o’clock at the weekends. But whilst disappointed she is far from defeated, she is speaking out publicly which will undoubtedly lead to unpleasant repercussions and she continues to fight for improvements, things we would take for granted in the UK, so she can ensure the future health of the park and improve the quality of this natural resource and all it’s historical heritage. But as we walk along the track, Annalise still enthusiastically pointing out interesting gems, we pass rows of beer cans strung on cords along the edge of some scrub. She tells me that they are shaken by the hunters to scare any birds into flight – to be shot. She shrugs and says that it will end, that one day it will end and I really hope it does for the sake of this determined and passionate lady and all her colleagues and guests. We are fully laden when we walk into Rydi’s practice. We have a live Scopoli’s Shearwater (formally a Cory’s Shearwater – those damned taxonomic splitters have been at it again) and sadly a dead Yellow Legged Gull and a dead Common Swift. Obviously the Shearwater gets priority. It was picked up on a cliff top, they breed here and come into their nesting chambers amongst the rocks at night, so the fact that it was out and about during the day meant trouble. It’s still very vigorous, a beautiful bird, built for flying thousands of miles over storm tossed oceans, a wanderer which can probably live for at least forty years. But this one had wandered into trouble and we wanted to know what sort of trouble. An x-ray confirmed our suspicions – it had been illegally shot, either at dawn or dusk, but more likely from a boat out at sea as it was waiting to come ashore under the cover of darkness. Yes, I know it’s insane, but hunters go out in boats to intercept the migrants and seabirds and shoot them, letting their bodies just drop into the water. The bird has a broken wing. But Rydi tells me it’s a ‘good break’, it’s the radius, it’s a clean sharp snap and it has the ulna as a splint. The bird is strong and so it will be sent to a government facility to be rehabilitated. We have a quick look at its head, we look into its eyes and both of us are silent. Shame, sadness and anger. You may be wondering why we have arrived with two dead birds. Again sadly it’s to confirm that they have been shot. And again x-rays reveal bright white specks on the screen, gunshot, more illegal hunting, more wasted lives. I ask Rydi how she deals with this and she tells me that she probably sees 150-160 birds every spring, the vast majority needing to be euthanised, all shot. She is pragmatic of course, but says that it’s a sickening thing, that she is not afraid of speaking out as she can deal with the comments and criticism and wishes the whole hunting issue would go away. She looks at the swift and tells me that in her native Hungary these birds are seen to bless the house in which they nest and that people eagerly look out for their return. What is the matter with the people here she wonders, why do they destroy the beauty of nature. I leave with a deep admiration for Rydi’s stoicism, that she manages to separate her sadness from the need to keep a cool head and continue her good work. 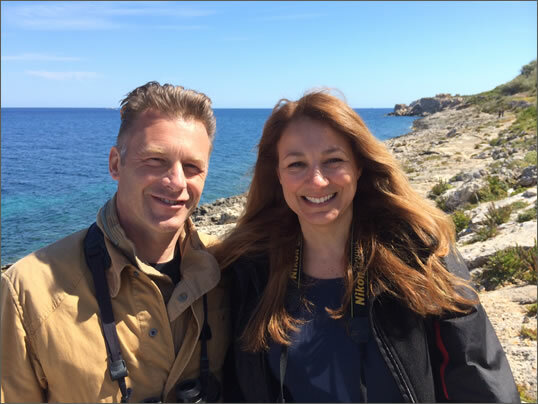 Dr Rydi Kovacs provides her services free of charge to Birdlife Malta. Nimrod has become our fourth musketeer and an integral and valuable member of our small team. We needed a translator, Maltese is a language with Arab roots, the only Arab language written in our alphabetic script, so obviously none of us can say more than ‘hello’, ‘please’ and ‘thank you’. But ‘Nim’ is more than our Maltese ears, he is a mine of local knowledge, the culture, the history, the wildlife, because he loves his country and knows every nook and cranny, every back street and cul de sac. And boy have we needed his ‘satellite navigation’ – Malta has not invested in road or street signs! We have been quite literally lost without him when we have ventured out alone. At 29 Nim has grown up in the killing fields and for a young naturalist this has been very hard. His first Peregrine, his first Osprey were shot from the sky as he watched them. Try to imagine the impact of that on a keen young birder . . . 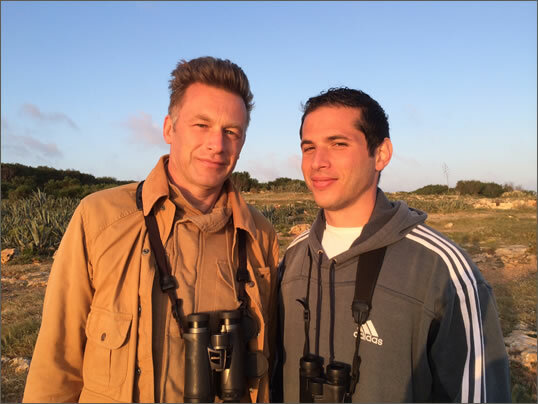 The result however has been profound because his enthusiasm in the face of adversity is truly remarkable and he is a great birder. Nim is also desperate for a solution. He wants an end to spring hunting and he wants the Maltese people to rally to this objective, he sees it as a democratic necessity to achieve this and feels that the spectre of it casts an unnecessary shadow over his country’s reputation. He wants a peaceful solution, he doesn’t like the aggression which results when the hunters confront conservationist – these are his countrymen and as much as he disagrees with what they do he wants to diffuse this form of conflict. For him the forthcoming referendum could be a true beacon of hope and he is very excited by it. Nim wears his heart on his sleeve, he is considered, articulate and intelligent – I liked him instantly and to have had his help this week has been a real privilege. He’s saved up to visit this year’s Birdfair. If you are lucky enough to meet him please show him how much we value his incredible passion and determination. He is the young hero in waiting . . .